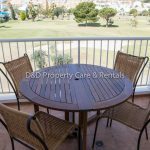 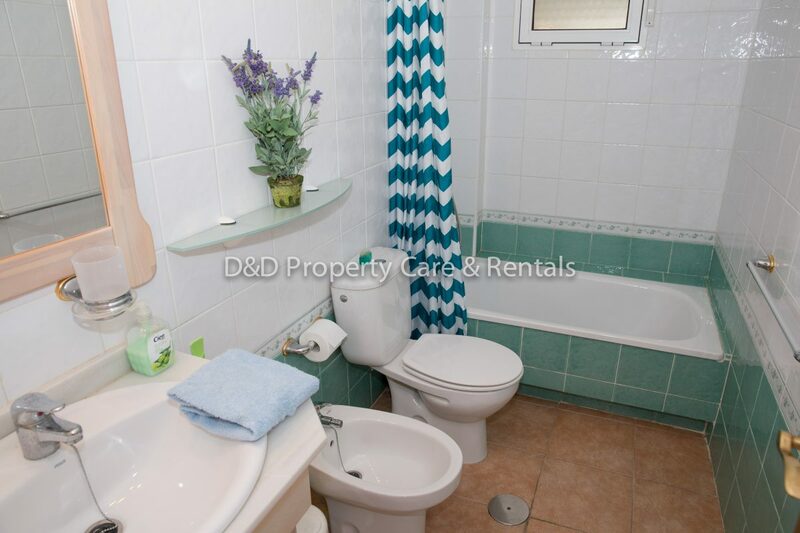 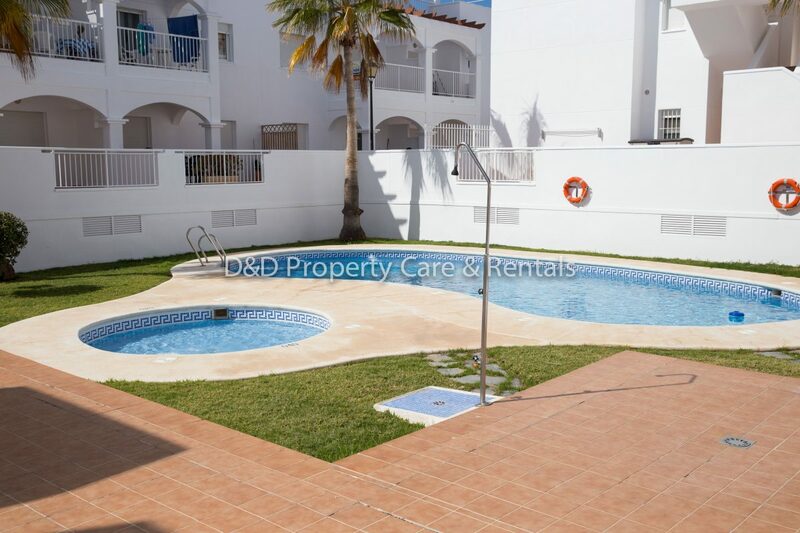 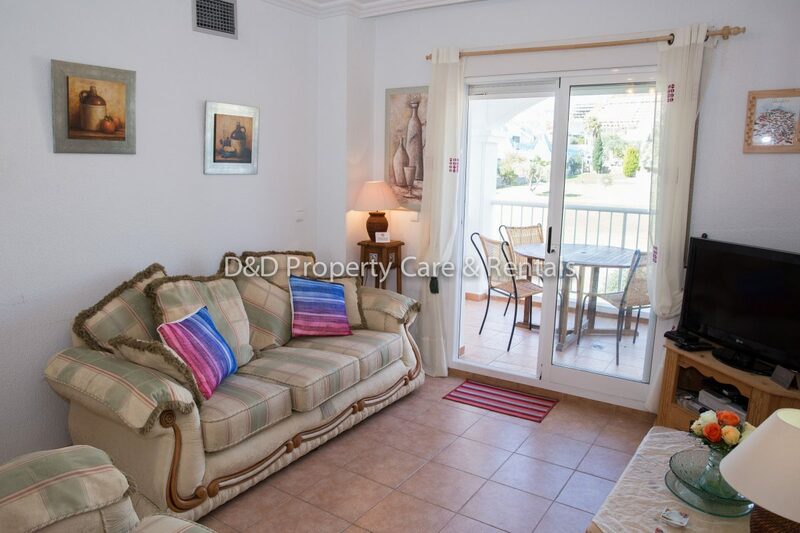 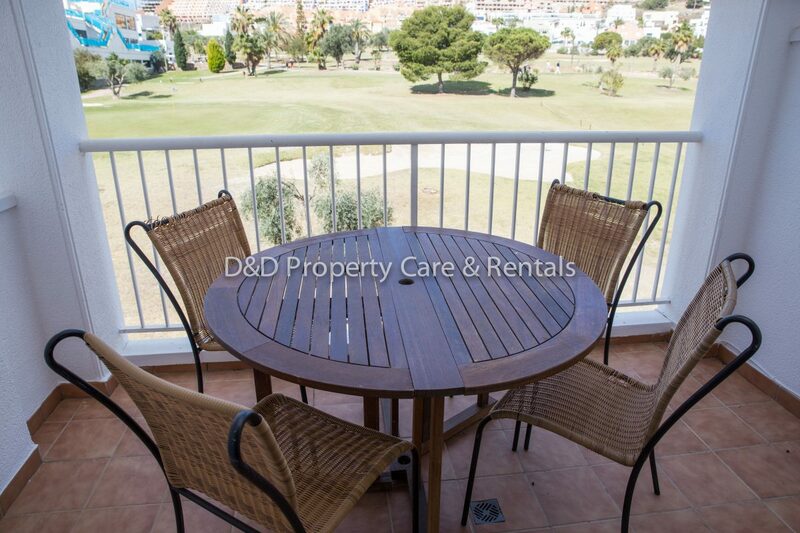 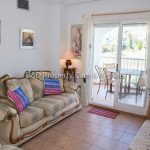 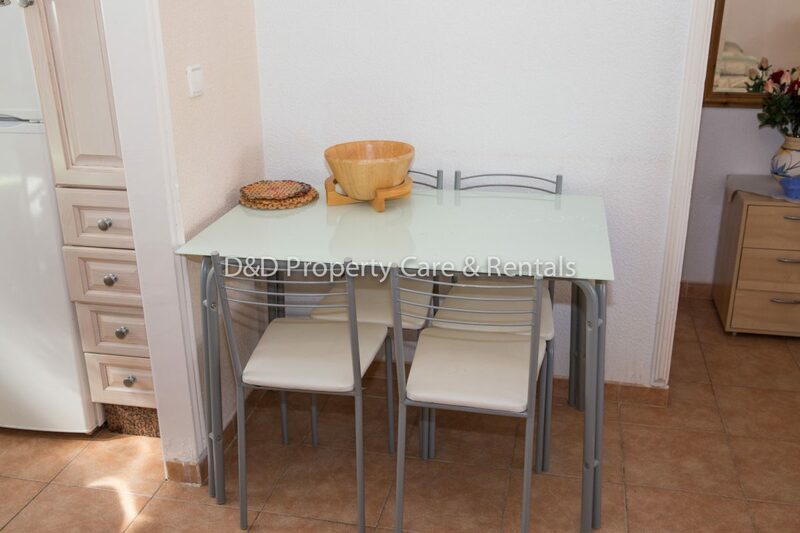 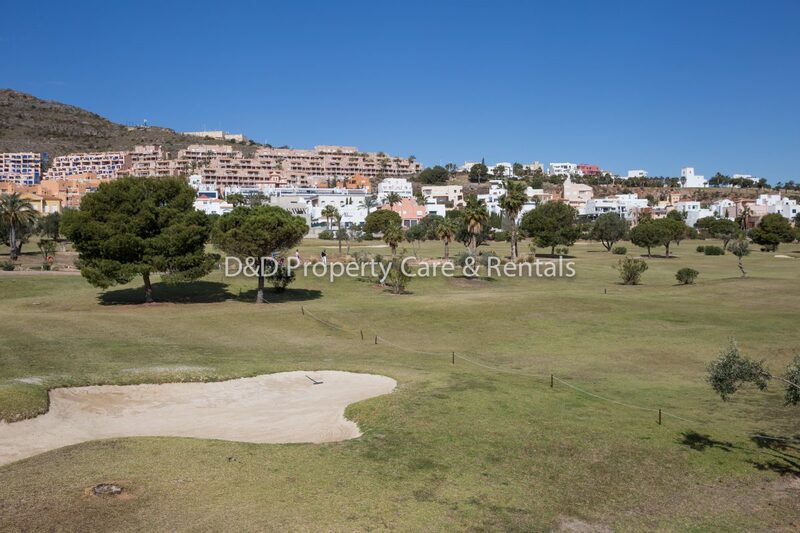 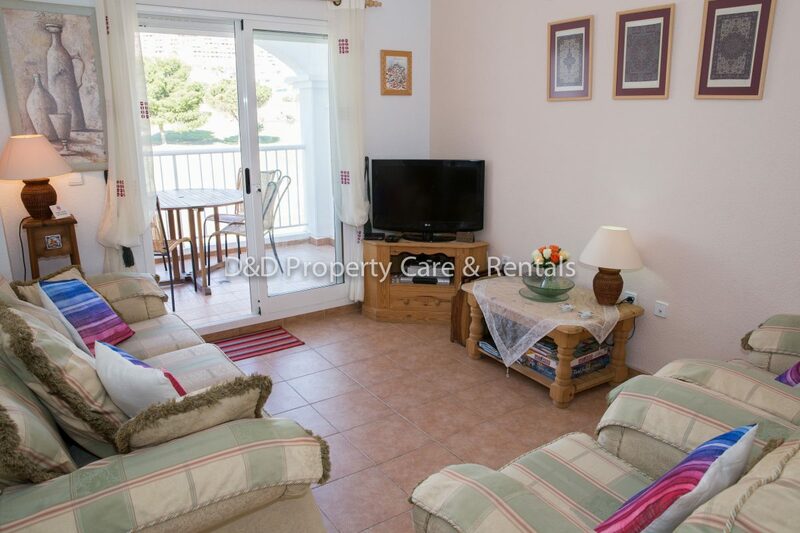 This 3 bedroom 2 bathroom apartment is located at Marina de la Torre on Mojacar Playa and for golf enthusiasts it does not get any better as the terrace is beside the golf course’s 18th hole. 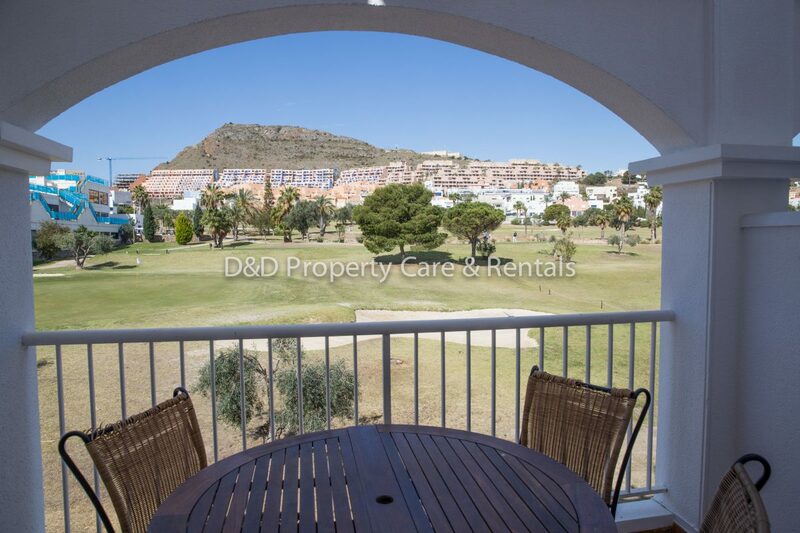 The entrance to the property opens into a lounge dining room with sliding doors leading out onto the small, private terrace where you can sit and enjoy the great view of the golf course. 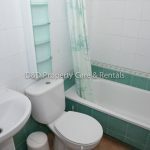 The kitchen is compact but equipped with everything you need including a fridge/freezer, oven, hob and washing machine. 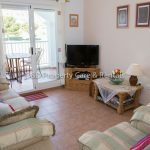 The apartment can sleep up to 6 guests and has a master bedroom with double bed, built in wardrobes and an en suite bathroom comprising bath with shower over, WC, bidet and wash basin. 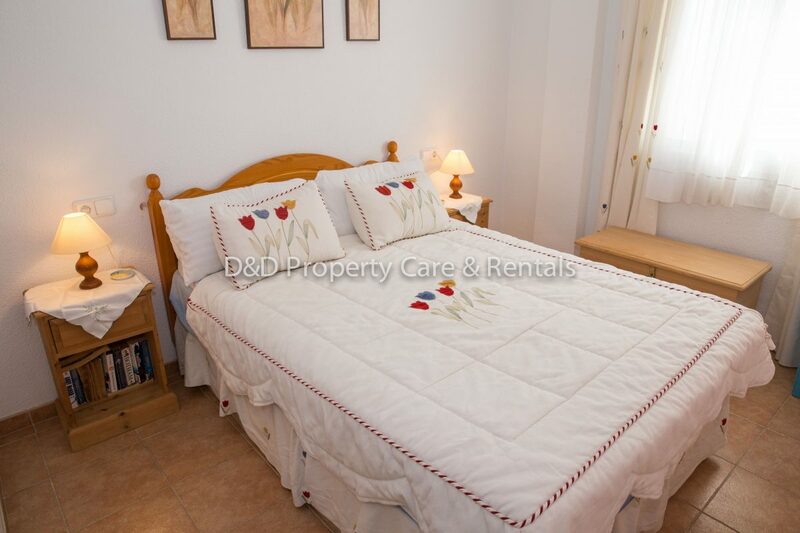 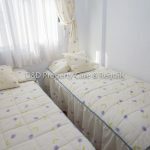 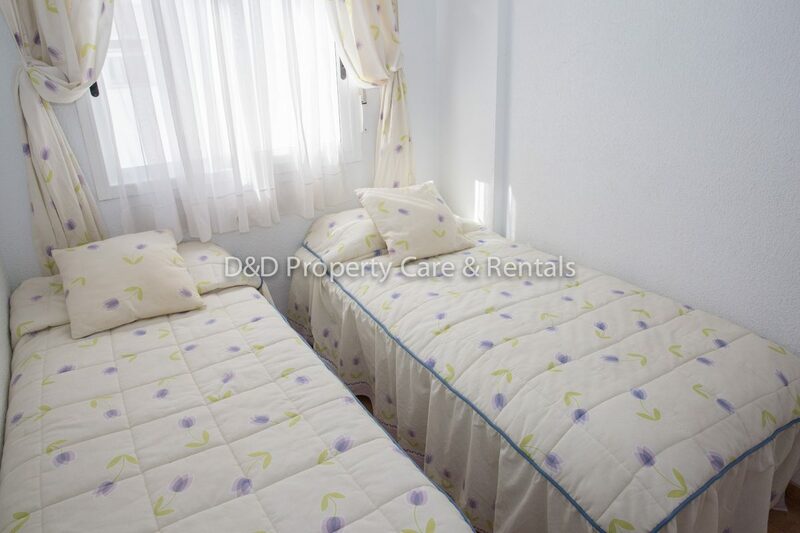 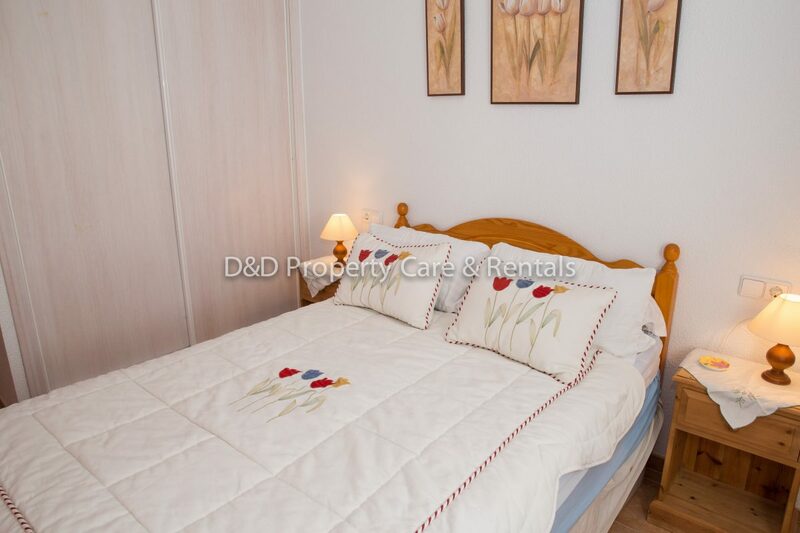 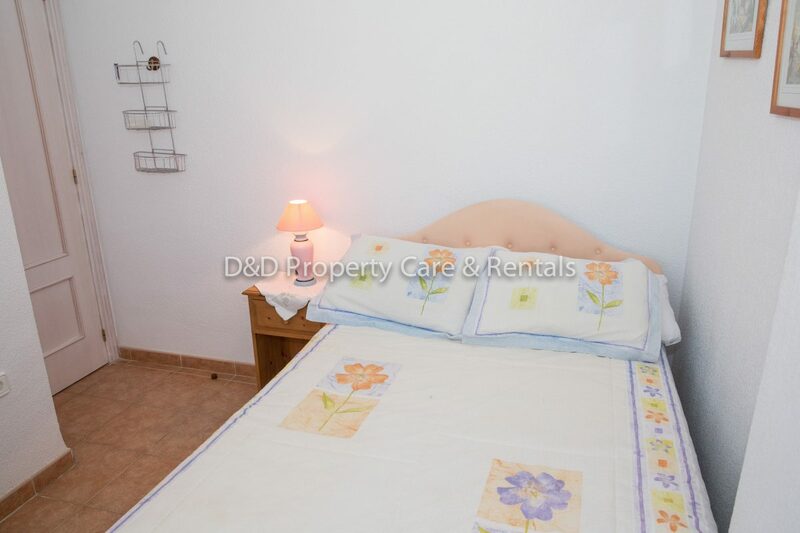 The two further bedrooms are twin rooms both with single beds and built in wardrobes. 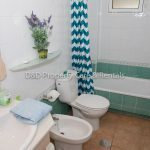 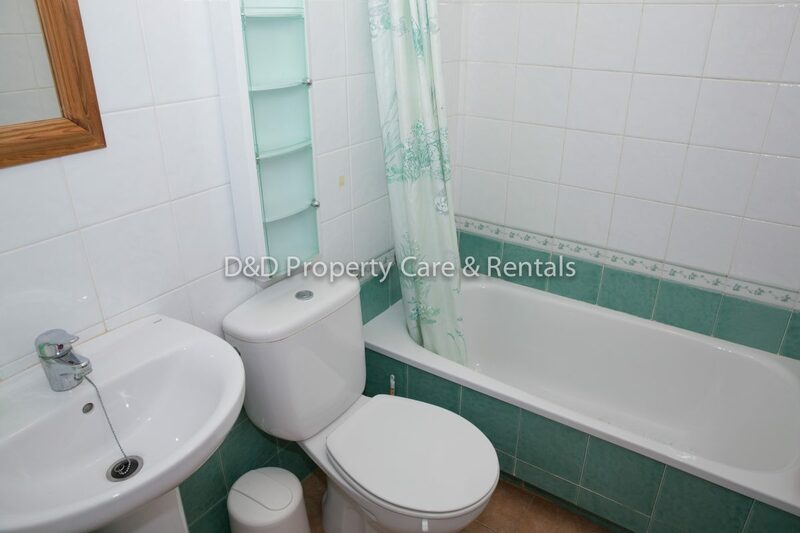 The family bathroom offers a bath with shower over, WC and wash basin. 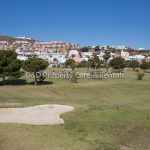 With its perfect location you have the best of both worlds the golf course if you are a keen golfer and the blue flag beaches that are within 500m walking distance from the apartment where you find a selection of beach bars and restaurants, shops and much more. 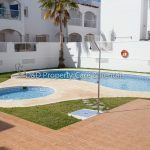 The complex also has a communal pool.